Ha, now were getting to the real jealousy!! Did anyone notice,...its the competition thats crying foul! How do you even view us as the "competition?" We are at opposite ends of the spectrum. You have sold out your sole in life and we create. wwrich1 wrote: Ha, now were getting to the real jealousy!! Did anyone notice,...its the competition thats crying foul! I am not the competition in this case. I was not contracted to do this person's windows. I was doing this inspection as part of a survey for a homeowner and was taken aback by the condition of the windows. Windows are certainly part of the inspection process and hence why I have chosen to learn about them in a effort to ID issues with them. How do you explain the condition and what, to a layperson, appears to be a poor quality install as well? The frames and sashes are most definitely bowed. Is this what you refer to as a quality product? 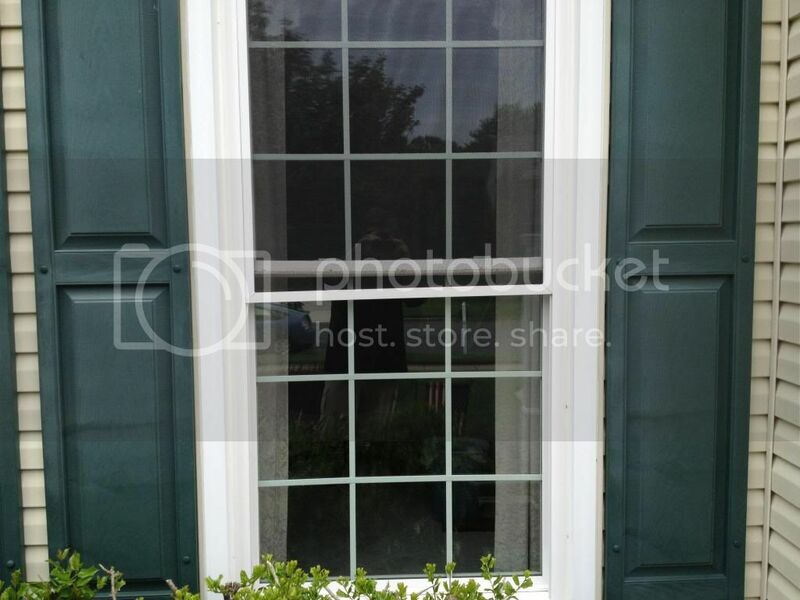 If so...is a customer not wasting money at $400 per unit for a window that looks like that as compared to even as high as $1,000 for a quality unit that will not function and look like that in several years time? Please explain the outward appearance of these units. This is what happens when a home owner pays 3900 for 10 windows thinking they got a great deal because the other windows that were higher quality were 5500. Obviously the 3900 is actually much more expensive because they now have to do the job twice and i highly doubt they will be naive enough to use the same windows for 3900.. 3900 plus 5500 is 9200, so obviously paying 9200 for a job that should of been 5500 is alot more expensive. Lets not even mention about the overall quality of these cheap windows. Ultimately as others have mentioned, there are really no ill-feelings as nobody here competes with WW or similar companies. A customer looking for the cheapest window they can but will not be here researching performance ratings, best installation practices, and the other nitty gritty details of a window purchase, nor will a person who is looking for a top-performing window consider a "bargain" window outfit. The last thing that I have to comment on is your response to the pay issue earlier. You acknowledged that you pay installers far less than the going rate yet somehow try to convey that great installers accept this due to the fact that they get more work? This is severely flawed logic. For 1) that is essentially admitting that your installers are rushed through jobs which can profoundly affect quality, and 2) who in their right mind would want to work twice as hard for the same pay? If you can work everyday and make the same amount of pay, wouldn't you prefer to to install 35-40 windows at a high level of quality over 60-70 and being run ragged? I don't know anyone that would choose the latter unless their quality or record just can't cut it for the former. Tommy, im sure if you look a little, you will see a bad job on much more expensive windows, its not just a WW thang!!!! wwrich1 wrote: Tommy, im sure if you look a little, you will see a bad job on much more expensive windows, its not just a WW thang!!!! I certainly hope that is not your justification (i.e. because someone else does a bad job it is okay for Window World)? My issue with this job is not so much on the workmanship (although clearly questionable) but the product. Granted the windows on the front are larger, there is still over 3/8" of frame deflection and warping in these windows and even in the master frame. That is troubling to say the least. The smaller units had warping too and it was consistent from window to window. This was not an install issue either as they were not shoved into place and crushed as a result. These windows will fail and the seal failure on several were noted. Nothing normal about that to me. Actually I like to not knock any business, but I do enjoy coming in right after that $189 window gimmick that goes up to $275-$400.